On Saturday Nov 3, 2018, Michael Baron, DO was sworn in as the 2018 – 2019 President of the Georgia Osteopathic Medical Association (GOMA). The event was preceded by a luncheon at GA-PCOM. Dr. Baron was born and raised in Tampa, Florida. He received a B.A. in Biology from the University of Rochester in Rochester, NY. Dr. Baron attended medical school at the Nova Southeastern College of Osteopathic Medicine in south Florida. He completed his 3 yearlong family practice residency at Northlake Regional Medical Center in Tucker, Georgia. Since 1991, Dr. Baron has been happily married to his wife Mary. They have two children in their twenties – Diana and Josh. Dr. Baron started his career as a family physician in his practice SmokeRise Family Medical Associates located in Stone Mountain in 1991. While he is no longer doing hospital work, he still is on courtesy staff at DeKalb Medical Center and Eastside Medical Center. Dr. Baron sold his practice to DeKalb Medical Center three years ago. 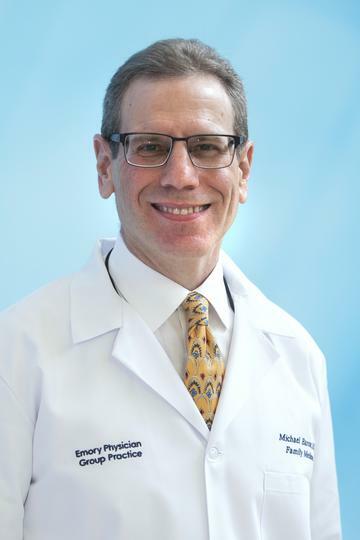 With the acquisition of DeKalb Medical Center and associated practices by Emory University in August, Dr. Baron now finds himself working at Emory at Rockbridge in Stone Mountain. Dr. Baron is strongly committed to quality compassionate care. He has ranked amongst the top 1-2% of family physicians in metro Atlanta as rated by Quality Care Providers since 1998. He has been designated a “Performance Physician” as well as a “Premium Physician” by United HealthCare since 2004. He is also recognized as an “Aexcel Physician” by Aetna Health Insurance. Past awards include “Teacher of the Year” by the Osteopathic Institute of the South and NCQA commendation for Quality Diabetes Care. Dr. Baron has been volunteering by seeing patients at the DeKalb Physician Care Clinic since 1997, and has had the honor of serving as a member of its Board of Directors since 2006. Dr. Baron has been a member of GOMA since 1991. He was the first graduate of Nova Southeastern College of Osteopathic Medical Association to become president of a state medical association when he first served as GOMA’s President in 1997. Dr. Baron enjoys traveling and working on his family tree. He talks of restarting golf when he retires.